The BMW iX3 concept has been officially revealed at the Beijing Motor Show, and is set to be BMW’s first all-electric SUV when a production car arrives in 2020. 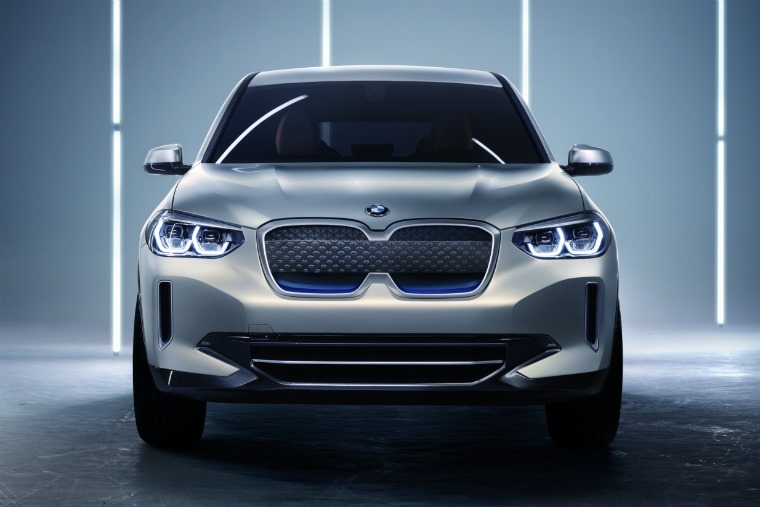 With a full range of electric BMWs set to hit the roads in the coming years, it marks the company’s first breakaway from its dedicated i3 and i8 electric models, instead using a current production car as a basis for electrification. As such, the iX3 borrows its style from the current X3, albeit with an electrified twist; the front bumper has fewer vents, and the trademark kidney grille has been designed with aerodynamic efficiency in mind. Other changes have been made to aid aero-efficiency too, such as a set of lightweight wheels. 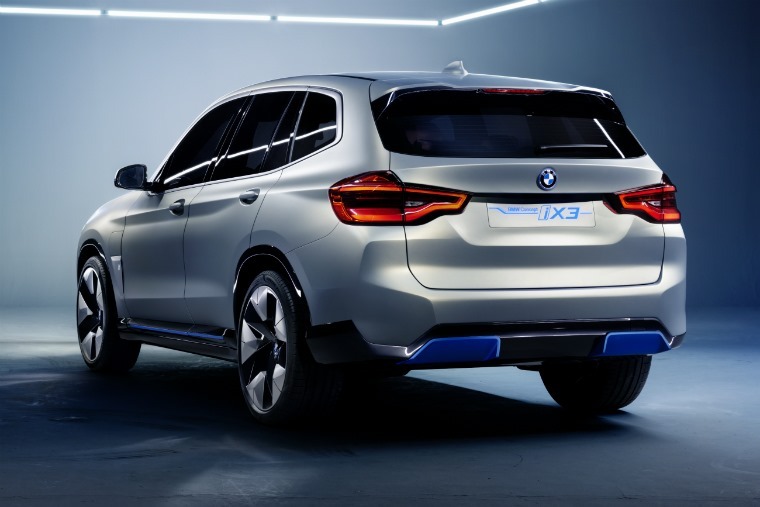 Elsewhere, the rear bumper and side skirts have been redesigned, and now feature BMW ‘i’ blue coloured inserts. 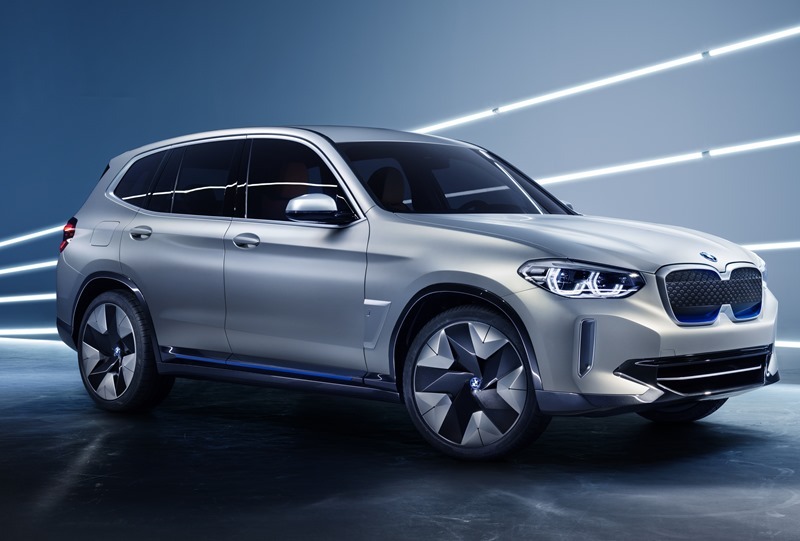 All these small but significant tweaks are designed to mark out electric BMWs from other types of drivetrain, and we can expect them to be carried over on the company’s other upcoming EVs over the next few years. However, if you were still in any doubt of the iX3’s electric credentials, you’ll find the charging socket on the passenger side front wing, making up part of the wheel arch. BMW hasn’t released any pictures of the iX3’s interior, but we’ll bring them you as soon as they’re available. The iX3’s platform incorporates a dual-motor, all-wheel-drive set-up that benefits from BMW’s latest eDrive tech. Each motor can offer up to 266bhp, while its lithium-ion batteries are set to offer a capacity of 70kWh or more, with range standing at 249 miles under new WLTP testing. 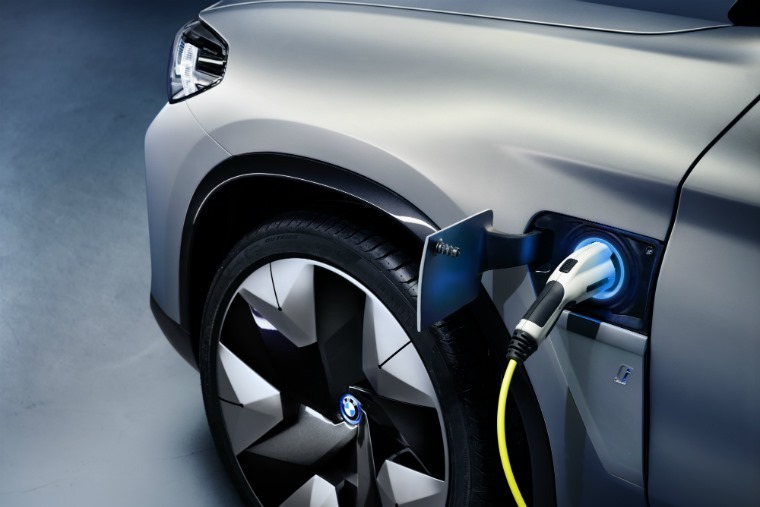 Just like Audi’s upcoming e-tron, the BMW will offer fast charging of up to 150kW – that’s more than Tesla’s Supercharger network can currently offer. This should mean an 80% recharge can be completed in half an hour or less via supported chargers. We aren’t likely to see an iX3 in production form until 2020, by which time Mercedes’ EQC could be on the market. 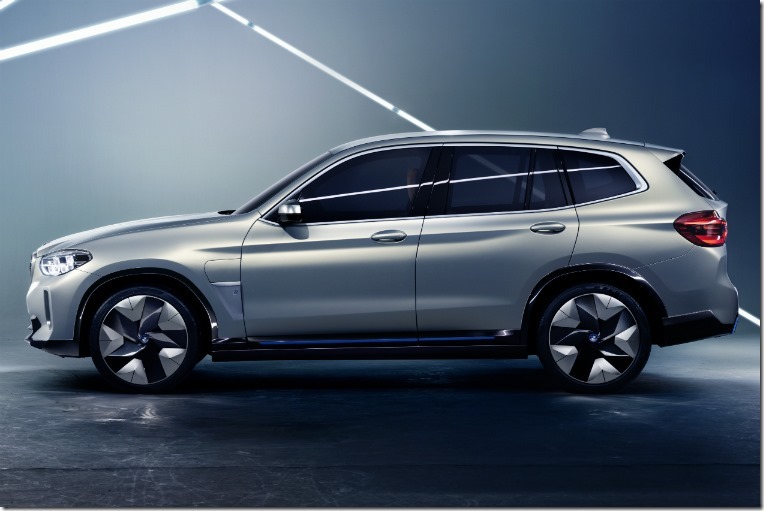 If you can’t wait for the iX3, why not consider another electric SUV? The Jaguar I-Pace is now available to lease. If you have your heart set on a BMW, you can check out lease deals on the recently refreshed X3 here.